Hydro Excavation uses high pressurized water to loosen up the ground into pieces and remove debris via air conveyance into a debris tank. Hydro Excavation is a time tested and proven procedure developed over the last 20yrs. All of our drilling units are equipped with the latest in guidance and steering tools. Each rig also boasts a support fleet of track-hoes, vacuum trucks, fluid cleaning systems, and numerous other pieces of equipment which are vital to a successful HDD operation. 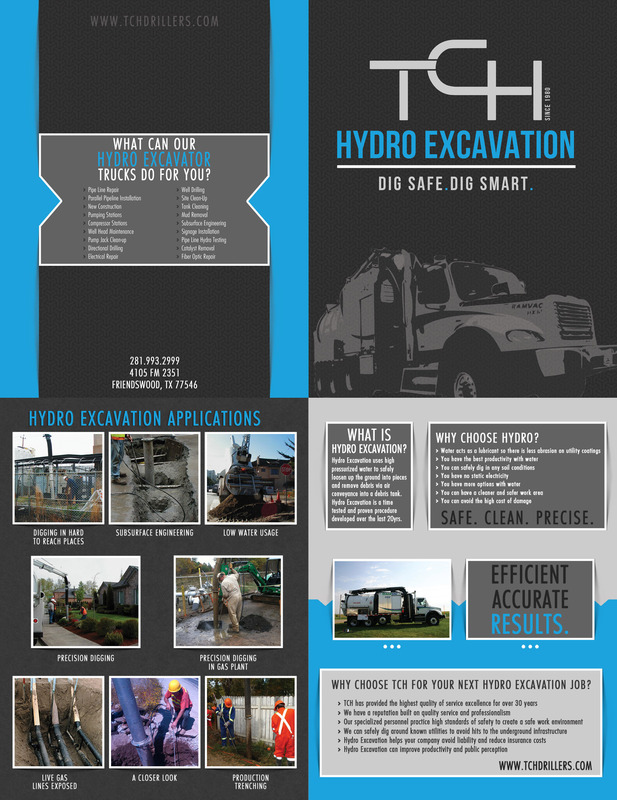 Why choose TCH for your next Hydro Excavation job?